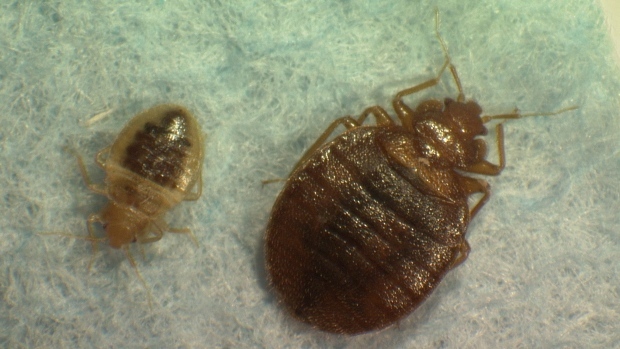 HALIFAX - Two Halifax Transit buses have been temporarily pulled from service after complaints of bed bugs hitching free rides. Municipal spokeswoman Tiffany Chase says two riders on separate buses have complained about seeing one of the tiny, blood-loving bugs during their commute. She says both buses will be thoroughly cleaned and fumigated as a precaution before returning to their routes. The first complaint came from commuter Jason Johnson, who says he saw the bug crawling on a bus seat Monday night. The 37-year-old snapped a photo of the insect, killed it with a piece of newspaper, and then stripped down naked outside his home during a blizzard to avoid bringing any potentially infested clothing inside. Chase says a second report came from a rider Wednesday who spotted a bed bug on a fellow bus passenger.